My Time on Middelgrundsfortet, the largest man-made artificial Island in the World! 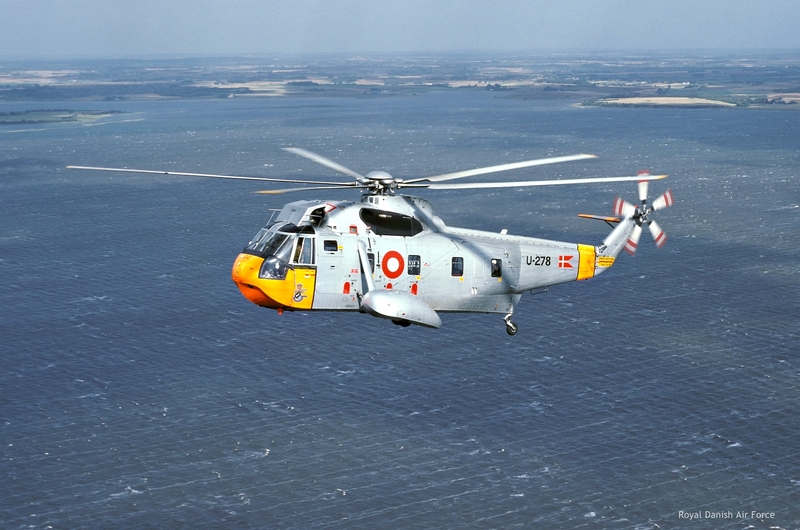 Not much flying in this blog, but it was part of my Royal Danish Air Force life for 3-1/2 years. Middelgrunds Fortet seen from the air. Building of the Fort. The walls were 4-1/2ft thick concrete. Middelgrundsfortet was built on an artificial island in seven meters of water, north of Middelgrunden in Øresund. This makes Middelgrundsfortet the worlds largest artificial inhabited island. 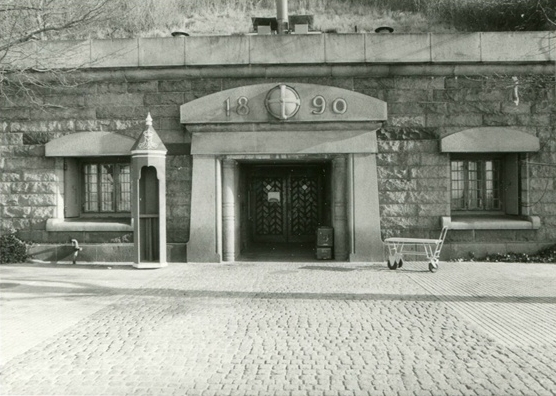 It took four years to build Middelgrundsfortet which was constructed between 1890-94. The work force consisted of 2000 men. 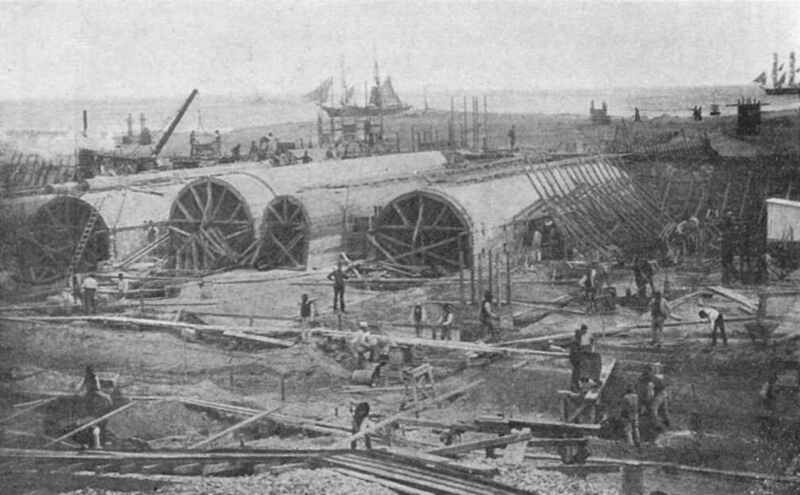 The foundation for this man made island was caissons made of timber (oak) and concrete. The revetment was boulders. The water depth on the grounds is about 7m (22ft). 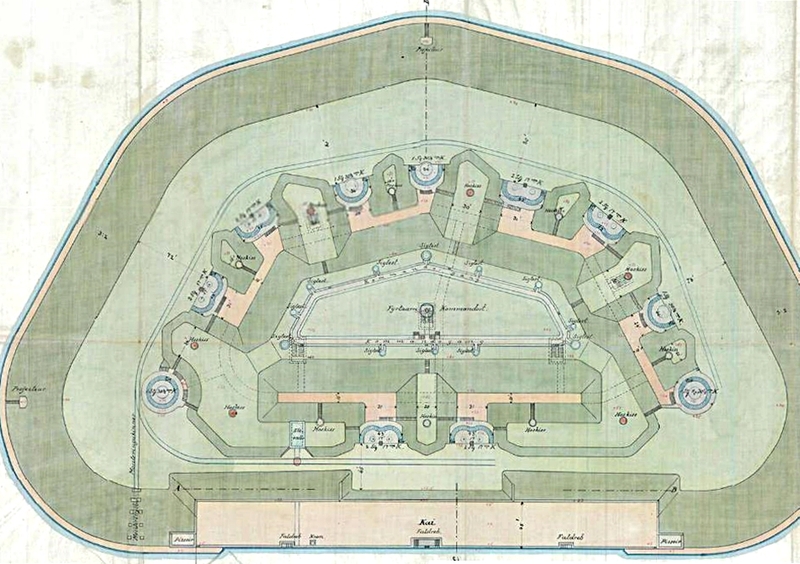 The fort consists of 2.5 million tons of bornholmsk granite and the whole island is about 70.000 m2 of that actual buildings are 15.000 m2. There’s no less than 8km of hallways in the fort. The original Oak tree portal doors, the window frames in the peace barracks, and the granite are still the original material. 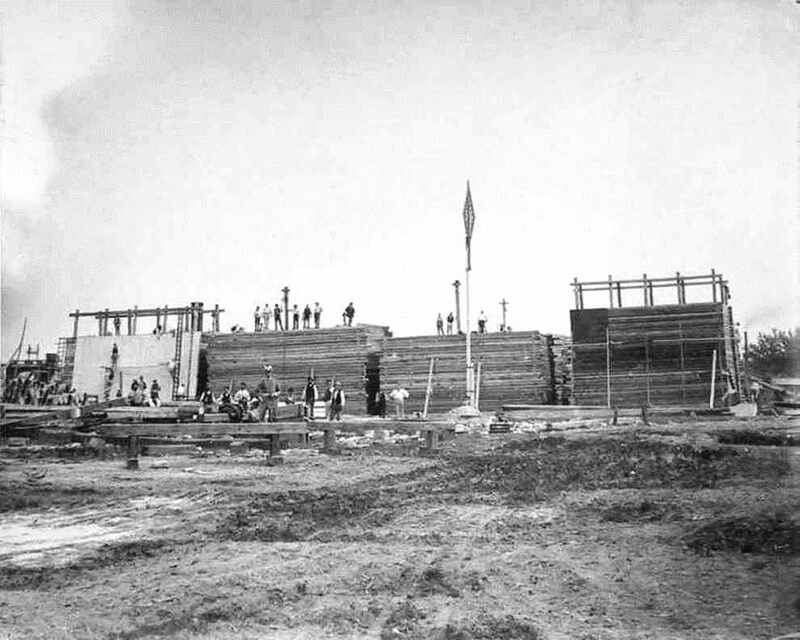 Early photo of Fort. The Lighthouse was removed in 1952. A story I heard was that a Swedish construction worker was buried in the concrete in 1893 and that his ghost wanders around the fort. I have never met him myself after having spent many nights on the fort. The story goes that all you see if you are lucky enough is his shadow. Middelgrundsfortet is situated at the northern part of the “MiddleGround” about 7km from Copenhagen and was supposed to safeguard the entrances to the Port of Copenhagen. 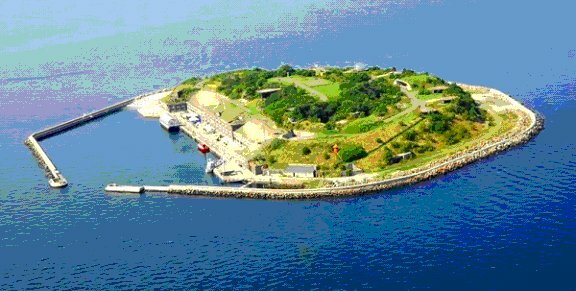 The jetty encircled the island creating a moat and the forts harbour. Facing the quay is the “peace barracks” in two storeys including sleeping quarters for the crew, galley, officers’ quarters and the mess. The lower floor extends into the island and becomes a virtual bunker with amongst other things ammunition storage, war barracks, hospital, power plant, seamine station, stockade and offices. 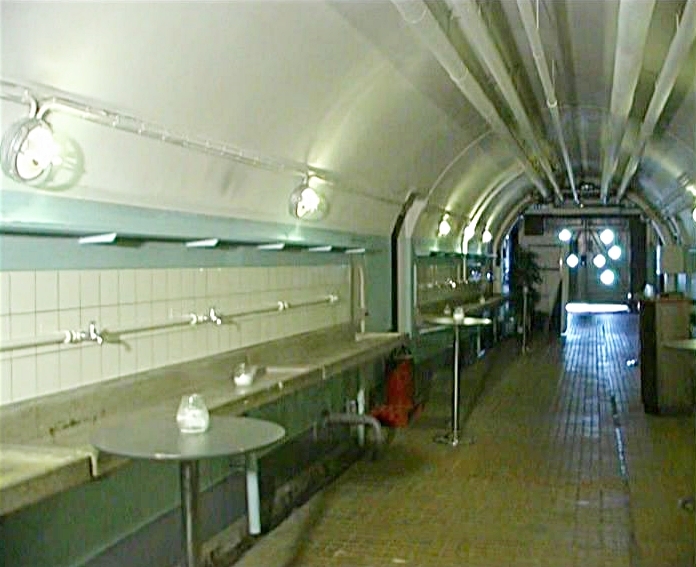 The war barracks are in the center of the bunker and is protected by 30 meters (90ft) of vertical soil and 13 meters (40ft) of horizontal soil. Middelgrundsfortet was heavily armed with five heavy canons, and 800 soldiers, who constantly manned the fort. The many soldiers present lead to the fort being so well-preserved today. The fort was never used directly in combat. 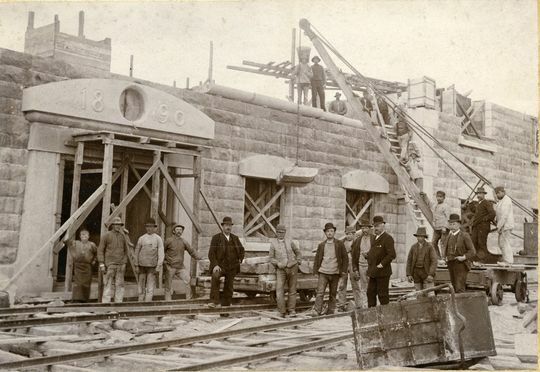 The guns were mounted in open concrete foundations sitting in a circle with a partly covered ammunition hallway that was connected to the ammunition storage downstairs with an elevator. The Fire control system was in the center and on top of that a lighthouse. During the First World War more guns were added and the fort was manned by 800 soldiers all the time. 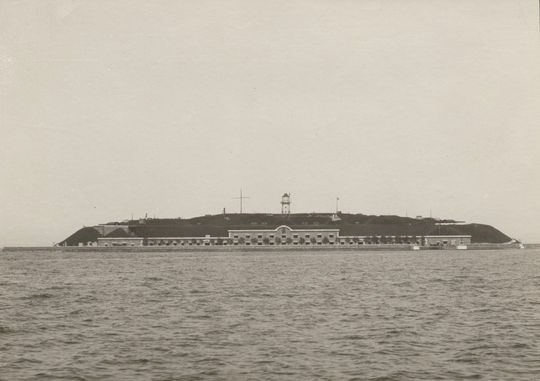 In 1932 the Danish Navy took over the fort and it was modernized and the crew went to about 250 men. The night between April 8 and 9th 1940 was an embarrassing moment as the fort did not manage to stop the German troop transports on the way to the port of Copenhagen as part of the German invasion force. The story goes that everybody was on leave except the cook who did not know how to operate any of the guns. The Germans let the Danish Navy keep the fort which was manned by Danish Navy recruits with some German forces operating searchlights. This changed on August 29, 1943 when the Germans took over the Danish navy. After the war ended the Navy came back and the equipment was changed to 40mm anti aircraft guns that was later updated to a radar guided system. In 1962 the Navy closed down operations and some of the guns and ammunitions were removed. The lighthouse and fog horn was manned by The Royal Danish Lighthouse Authority and consisted of 3 men. The fort is now automated. 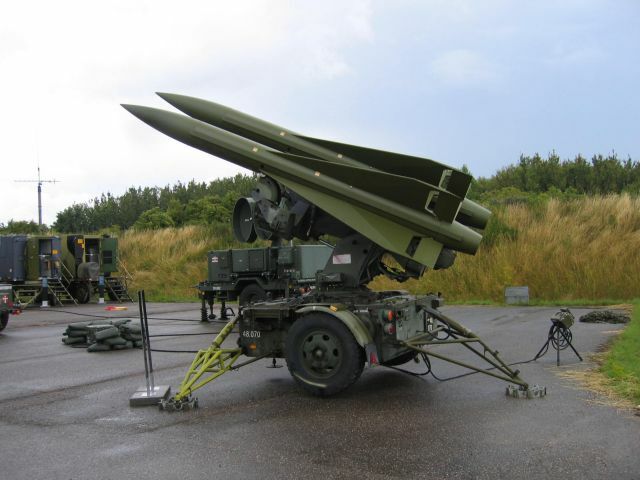 April 1 1965 Middelgrundsfortet became part of The Royal Danish Air Force which had HAWK missiles under its command. 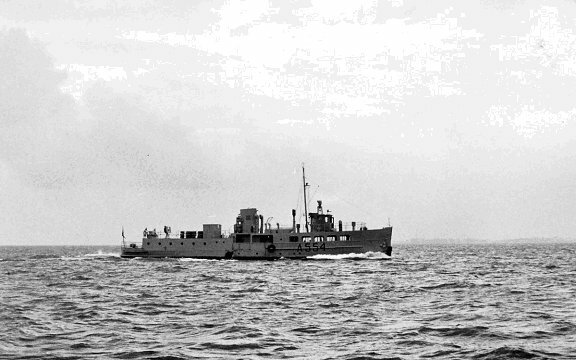 Squadron 541 was set up on Flakfortet a smaller sister fort about 8 km south east with its battery of HAWK surface to air missiles. This was the first time that the Air Force sailed to work. I sailed to work on July 1, 1965 as a SG in the RDAF and I was going to be stationed on MFT (Middelgrundsfortet) which was getting ready for a major overhaul to accommodate the HAWK Squadron now residing on Flakfortet. Little did I know that my actual workday would be 3-1/2 hours. The transport vessel “Hollaenderdybet” sailed to Flakfortet at 8:00am from Langelinie, a stones throw from the Little Mermaid. At 8:45 it arrived on Flakfortet and at 10:00am I arrived on Middelgrunden. The boat came back at 1:00pm and I had to go back to Flakfortet and look busy for 2 hours. Hoellaenderdybet that sailed me to work and back for a while. I was in the engine room where we had 4 B&W diesel generators with air start to supply power to the fort in case of power failure. One thing we did not have on the fort was fresh water so all the Heads (washrooms) were serviced by saltwater which we pumped out of the sea and pressurized in a big tank. For fresh water we had 3 concrete basins inside the fort (enclosed. We would call the water boat and it would show up with 80000 liters and pump it into a tank. 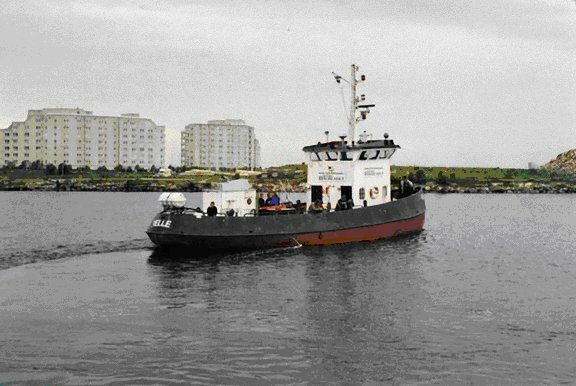 In November of 1965 the building project to accommodate the HAWK missiles started and we sailed to work in the construction company’s boat which was a chartered tug boat named “Pelle”. At least we now had a normal workday. The old gun emplacements on the top were to be removed and one day I found 40,000 rounds of 40mm AA ammunition in a storage room close to one of the old gun placements. The navy was there the next day and hauled it away. If not we could have had quite a “bang” on the top. I do not think there would have any damage downstairs protected with 30 meters of soil and the concrete walls and ceilings curved and 1.5meter thick. The debate was always about if you could survive an Atomic bomb blast in the fort. Don’t forget this was the era of the cold war. In those days the moat was a very good place for fishing eel. We had nets out and caught a lot that we smoked in our own 45 gal. smoke drum. Other fish around the fort was cod, mackerel and herring which we when we got a rowboat caught and took home for dinner. On a hot summer day the moat was also a good place for swimming. On the eastside of the fort was the Fog Horn which was a compressed air horn. One day I was walking around the island and passed the horn it started up and blew me in the water. It could be pretty depressing being on duty on a low visibility day and every 2-1/2 minutes you would hear the fog horn bellowing out. Remains from WW2 included German BMW diesels which had supplied the searchlights with power. There were 3 of them in concrete garages around the island but the actual search lights had disappeared. Being a military installation the island was off limits to civilians. One day we found a guy wandering around aimlessly and discovered that his stag night had turned into sightseeing on the fort. He was arrested and put in the prison cell and a navy boat picked him up. We hope he made it to his wedding which was the same day. I had the good fortune of running the diesels and could synchronize all four. 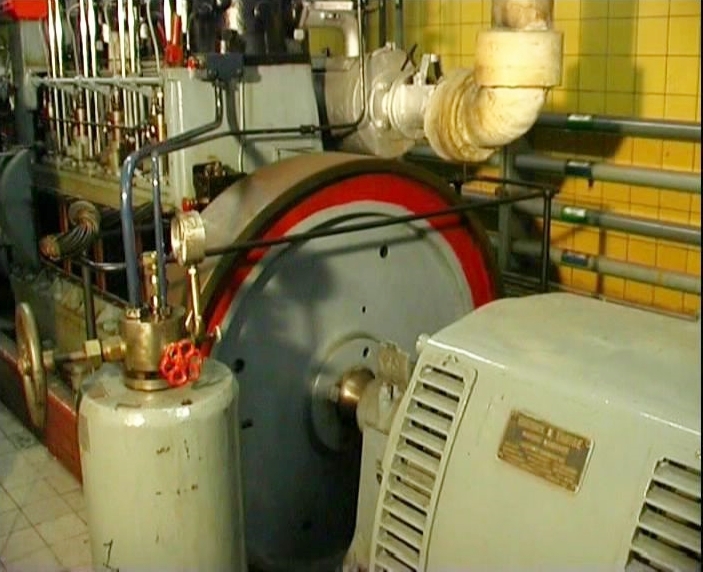 As they were cooled by saltwater they were overhauled during the re-building and a closed heat exchange system was put in place to avoid further corrosion in the cooling chambers. While this was taking place I had a Consolidated Diesel on the quay that was used to supply us with power during outages which were rare. 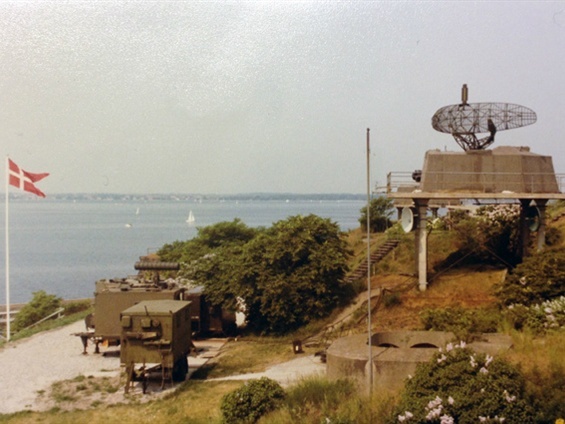 One of those rare instances was in the winter 1965/66 when a Polish ship anchored between us and Hellerup and when it left it broke the power cable to the fort. Unfortunately this was a cold winter and due to ice they could not repair the cable. We generated our own power for 3 months. As the ice grew we could not sail so we flew by S-61 from Vaerloese Air Force Base to the fort and stayed for a week at a time. We had enough diesel fuel and with rationed water we were ok until ship traffic was possible again. 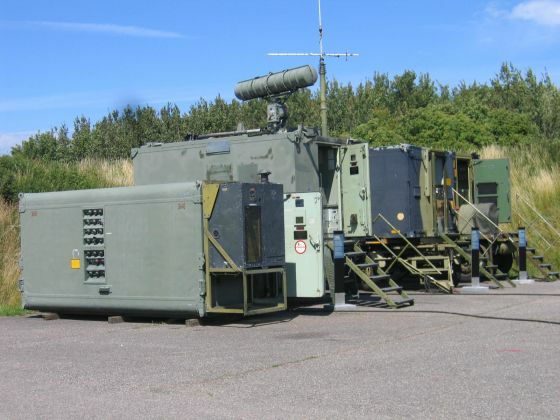 When I left in November 1968 for a posting on the Faroe Islands the complete Squadron 541 Hawk Missile battery was operational on Middelgrunden. The Squadron was moved to Stevns in 1984 to become a land based mobile Squadron, which is the Hawk system main function. To be on an island in case of war meant for us who lived through the icy cold war that we would probably last a maximum of 72 hours before we were either destroyed or ran out of missiles. The island is now owned by a foundation which is dedicated to making scouting activities for everyone interested (not just those who already are members of a scouting group. But first it must be restored after at least five years of uninterrupted decay, which is an immense job. The web site of the new owner is Ungdomsoen, looks like Danish text only, use translate to read about it.